The innovative and award-winning EcoResidence and Laird Hall (pictured above) provide homes to over 300 undergraduate and graduate students at Macdonald Campus. Both the EcoResidence and Laird Hall have facilities for recycling and composting. 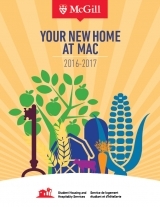 Please visit the Macdonald Residences website for more information.